My wife and I grew up around small towns so when we got married it’s no wonder we ended up in one to raise our family. I don’t ever remember discussing it. I guess we knew each other well enough that we didn’t need to discuss it. After a year of marriage and living in Des Moines we were ready to buy a house. We found one in a small town with a reasonable commute and have been here 15 years now. It took awhile to feel like we were part of the town. Joining a church helped. Once we had kids the real sense of community kicked in. Meeting our kid’s friends, their parents, and teachers really helped. For me some of the best things about living in a small town are the little things. Knowing that there’ll be someone you know to say “Hi” to whenever you fill up at the local gas station. Having a neighbor who isn’t afraid to knock on your door to ask for help getting an old water heater out of his basement (and then returning the favor a few months later by plowing the snow off your driveway). Being able to go into the local hardware for a little advice, a fair price, and some good conversation. 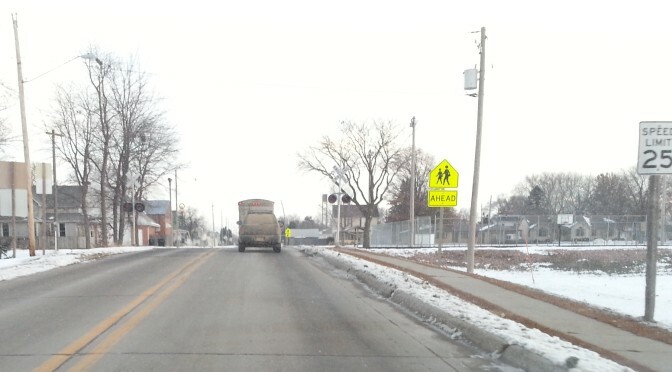 Small towns are great for raising children! They’re afforded the luxury of being able to play and be a part of any sport they want. 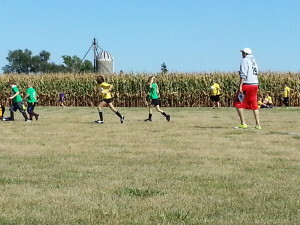 They might not be a star player in every sport but they will be a part of the team. As a parent you get to sit in the stands or on the sidelines and chat with your kid’s friend’s parents and enjoy the game. As a side benefit the view is usually pretty good too. 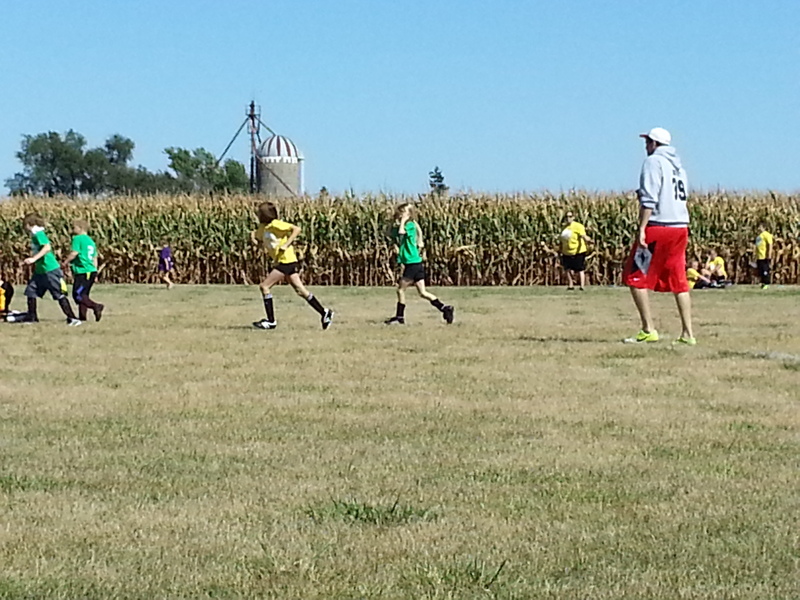 Like this one of our town’s soccer field with a cornfield and farm as the back drop. There are Church youth groups, dance, 4H, Girl Scouts, Boy Scouts, community activities… the list could go on and on. With kids busy in so many things it’s good to live in a small town because you need the help of family and friends to get everyone where they need to be. Help is never more than a text, call, or Facebook post away whenever our kids need a ride or a place to stay for a bit. Our friends are always happy to help. Just like we are happy to help them. Small towns sometimes get a bad rap on the TV or in the movies but for most of us who live in one, we wouldn’t trade it for anything.